Bear Necessities: 3 bed / 2 bath. Sleeps 10. Nestled into the woods of Kiamichi Country, Bear Necessities has that rustic charm that keeps folks coming back to spend weekend after weekend here. Set back from a quiet lane, the surrounding trees give this cabin the privacy and seclusion so many guests are seeking. Step into an open kitchen and living room that are bathed in light from the window that stretch from the floor to the vaulted ceiling. One look at the towering river rock fireplace and you know you are going to spend a few nights watching tv in front of a glowing fire. 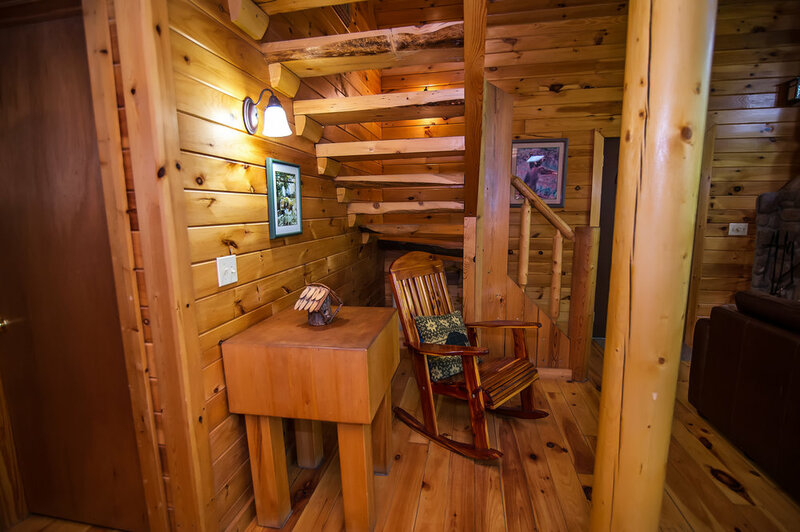 This three bedroom cabin has room for your family and probably a few friends as well. Downstairs you will find 2 bedrooms with queen size beds. Upstairs is another bedroom with a queen bed, a large landing with 2 futons – great for long relaxing talks in the day and long restful nights. Wake up to the smell of breakfast being prepared in the simple ready to cook kitchen. Bear Necessities has a large ¾ wrap around deck with large multi level decks full of seating and dining space. Drag the cooler and hot dogs down to the traditional fire pit just off the deck and spend some time telling stories and watching the fire. 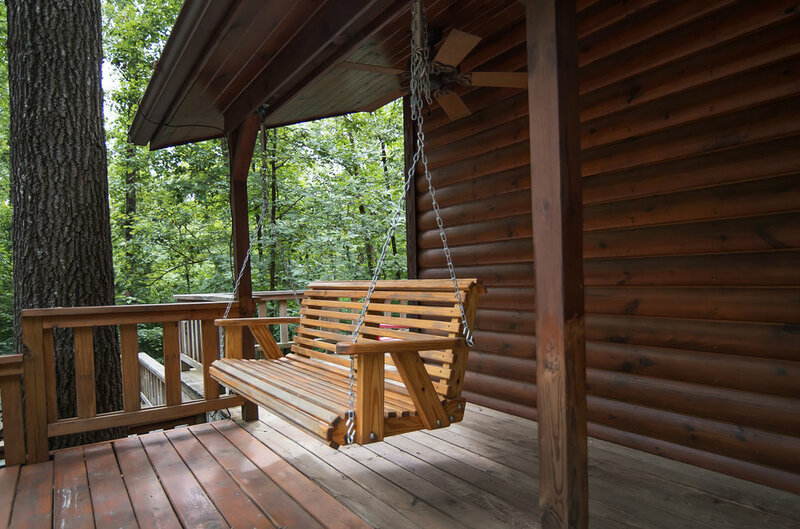 While Bear Necessities may be the perfect cabin to spend an entire weekend tucked away your everyday; just up the road, you will find Beautiful Beavers’ Bend state park, Broken Bow Lake, and enough activities to keep your day full. Either way, Bear Necessities will bring you back again and again.